The June Bateman Fine Art is pleased to announce its summer exhibition, Landscapes and Flowers, a show of nearly fifty black and white and sepia toned images by New York photographers Brian Kosoff and Jeff Harris. 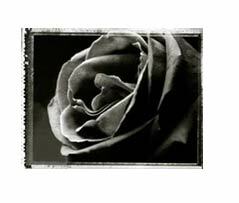 Since 2000, New York artist Jeff Harris has been photographing cut flowers in his studio using Polaroid Type 55 Pox/Neg film, and making large-scale sepia and selenium archival silver gelatin prints. Harris investigates the sensual complexities of organic form in radiant close-up portraits of flowers. These extreme close-ups allow for intimate inspection of the surprising architecture of his subjects; deftly illuminated flower tops and stems show how light is guided through their twists and turns as they bud, bloom, wilt and die. The play of light through the flowers during the photo sessions metaphorically mimics the botanical process of photosynthesis, by which plants survive by using light to act on carbon dioxide and water, releasing oxygen in the air as a by-product. By encouraging us to look beyond their surface beauty, Harris reveals new, paradoxical forms as he records the flowers' accelerated life cycles within the studio environment. Brian Kosoff's luminous landscapes are often described as having a painterly feel, as he uses tools and special darkroom techniques to add mood and romance to his images. By eliminating unnecessary elements that may detract from the simplicity of the forms he captures, Kosoff creates unique landscape images of mountains, islands, clouds, and dunes composed of perfect, untouched forms creating simple graphic design. Kosoff's innate attraction to nature has been a driving force behind his depiction of landscape. Jeff Harris is a commercial and fine art photographer based in New York. His clients include IBM, Schick, Johnson & Johnson, Vogue Magazine and Nylon Magazine. His work has been chosen by Polaroid for their 2002 International Calendar and three of the images from Photosynthesis and appeared in Grophis Floral Design, 2002. He teaches lighting for photography at New York University and has judged competitions such as The Krappy Kamera Contest. Brian Kosoff's photographs have been featured in numerous group exhibitions including the June Bateman Fine Art, NYC, Fay Gold Gallery, GA, Tatar Gallery, Toronto, and The Edward Carter Gallery, NYC. He has had solo exhibitions at the After Image Gallery, Dallas, and The Edward Carter Gallery, NYC. Brian Kosoff has received two Cho awards and numerous awards of excellence in the fields of graphic design and art direction for his commercial photography and his fine art photography has been featured in Black and White Magazine. Landscapes and Flowers is on view at the June Bateman Fine Art from June 10 to August 20, 2004. An artist's reception will take place at the gallery on Thursday, June 10, from 6:00 to 8:00 pm.